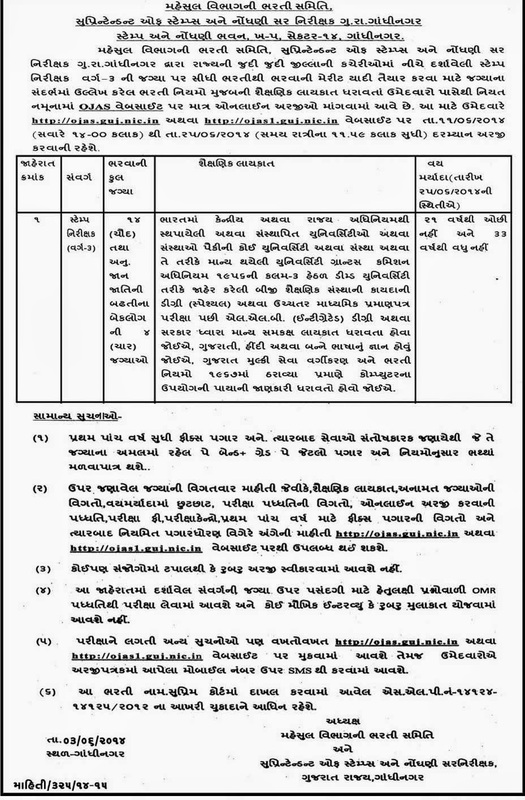 Gujarat Revenue Department published notification for recruitment of Inspector of Stamps Class 3 Post. The candidate who qualifed for this post are apply online application through official website ojas.guj.nic.in before last date. Gujarat Revenue Inspector of Stamps Recruitment 2014 online apply Start from 11 June and end on 25 June 2014 at 11.59 PM. Candidate download full advertisement notification and must read carefully befor apply. You cand download official notification and othe information for this vacancies by following link. Other details about this post like post name, qualification, age limit, pay scale, how to apply are given below. Educational Qualification: Graduate with Law OR LLB. View more details in notification.